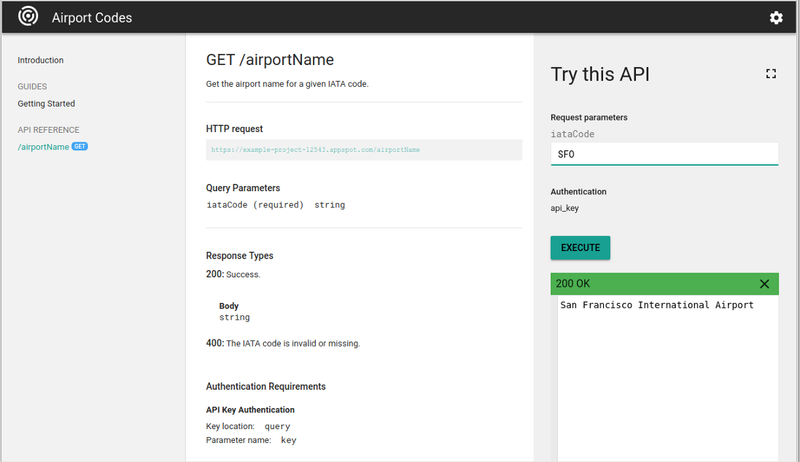 You use Cloud Endpoints Portal to create a developer portal, a website that users of your Cloud Endpoints API can access to explore and test your API. On your portal, developers who are using your API in their own code can find the SmartDocs API reference documentation. SmartDocs uses the OpenAPI document that Cloud Endpoints Frameworks creates to generate API reference documentation. SmartDocs includes a Try this API panel, so developers can interact with your API without leaving the documentation. You can also provide your own custom documentation to help your users get started and be successful using your API. Visit the Endpoints Portal Demo to explore the portal that was created from several different Endpoints samples.